This was my first blog post. I wrote about gift cards. I hate them. You know why I hate them? They are terrible credit risk. And, I now have empirical evidence. My daughter walked into my office while I was cleaning today. Cleaning my office is a serious exercise. She picks up a random pile of crap, trying to help. "Uh, dad, I think we have a problem here!" 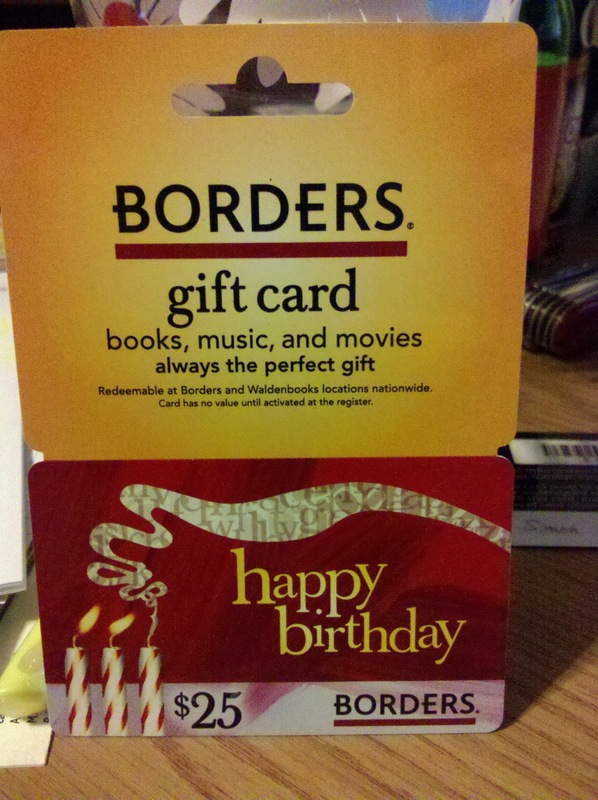 "I think you're a little too late on this Border's gift card. Maybe you should have given it to me before the stores went bankrupt?" And there you have it. Case closed. 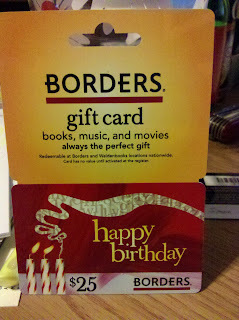 I can now confirm that gift cards are a terrible risk. At least this morning I reduced my Barnes & Noble inventory by one for my son's friend's birthday gift.